On Tuesday 27 October in Edinburgh and Thursday 29 October in Glasgow, civil servants from across Scotland will get a special insight into the Reserve Forces – who they are, what they do and how the training, skills and experience gained in the Reserves can be put to good use back in the day job. These will be exciting and highly immersive events, which will give you a taste of life in the Reserves and the chance to try out some of the kit and high-tech equipment. You’ll even get to experience the personal development training that’s on offer to Reservists across all three Services - the Royal Navy, the Army and the Royal Air Force. You’ll have the opportunity to engage in some of the typical challenges that Reservists have to confront and to work together as a team to solve problems and complete various tasks. Each of these challenges will be designed to draw out a number of the key skills that can be gained in the Reserves – such as leadership, teamwork and communications – and then transferred back to your Civil Service role. 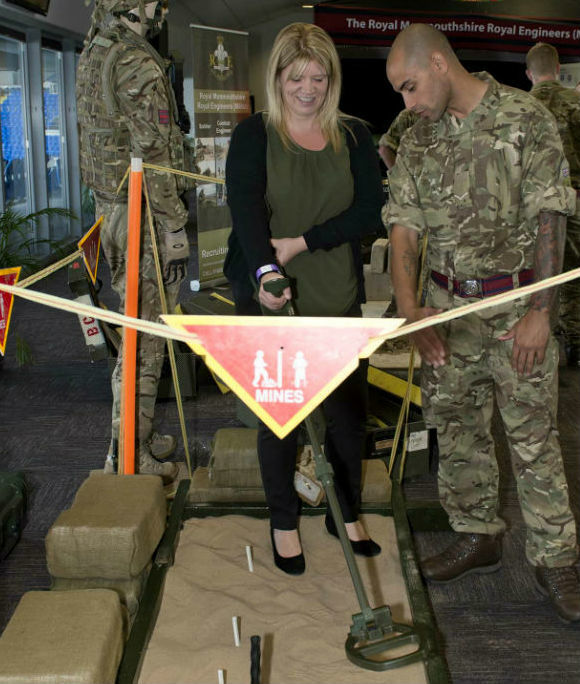 A visitor to the Reserves Experience tries out landmine detection equipment. 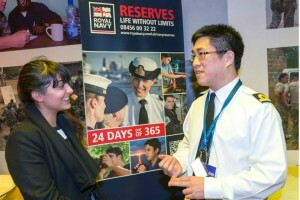 You’ll also hear first-hand from civil servants what life as a Reservist is really like, what the benefits are and how they balance Reserve service with their Civil Service career and other commitments. For example, you may be interested to know that your department gives Reservists a minimum of 10 days special paid leave for training – and many departments offer a minimum of 15 days. I was surprised and pleased at the interactive element and very much enjoyed participating in the team exercise. I had no prior knowledge of the Reserves before the event, so I felt the whole day, every aspect of it, was very helpful and interesting.